These mobile games are great for passing time on the go. Finding a new mobile game can be tricky due to the vast array of options to choose from on both iOS and Android. Furthermore, it can be hard to whittle down the list of free games that don’t require an exorbitant amount of microtransactions to play. With that in mind, if you’re looking for a fun game to play for free while you’re out and about, we’ve compiled a list of the top 7 free mobile games on iOS and Android! 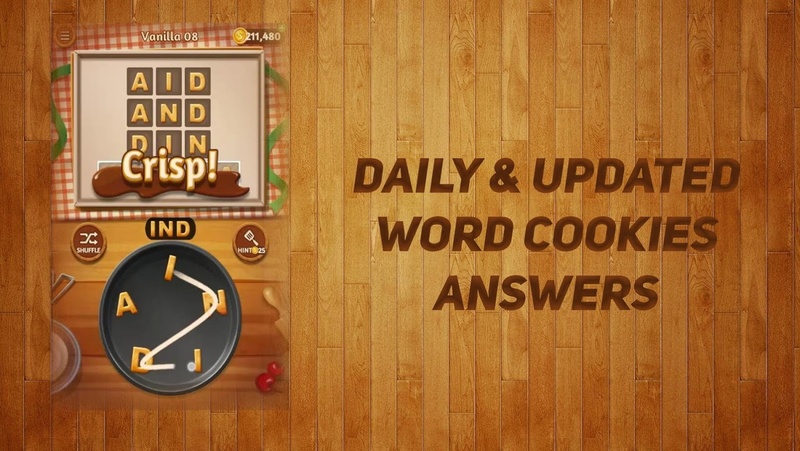 Word Cookies is ideal for fans of word games and trivia, on top of being a great way to kill time. In fact, you may have a hard time putting the game down once you start! In Word Cookies, the name of the game is to uncover all of the hidden words from a series of randomized letters. The more you play, the more your vocabulary will start to grow. Of course, there are levels that are harder than others. To help, we have two sneaky cheat guides on Banana and Cinnamon to help avoid unwanted frustration! Word Cookies is free to download on both iOS and Android. If you enjoy real-time strategy games, or even classic TCG and board games, Pokemon Duel will likely be right up your alley. 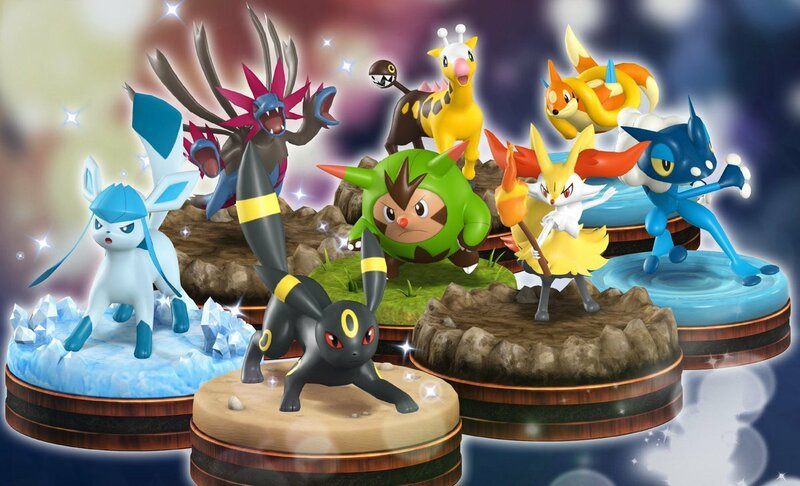 Pokemon Duel differs from games like Pokemon Duel in that it’s not necessarily about “collecting them all.” Instead, it’s about honing your strategy in order to outsmart your opponent. To do this, you’ll need to move your Pokemon across a game board in order to reach your opponent’s goal. This may seem complicated at first, but fortunately, we have a great guide on how to win battles in Pokemon Duel that will get you up to speed! Pokemon Duel is free to download on both iOS and Android. Do you spend hours on end building up cities in games like Cities: Skylines? Well, you’ll definitely want to look into Bit City, as it’s currently the top city-building mobile game on both iOS and Android. In Bit City, you’ll be able to construct your very own city from the ground up. If you’re not looking to utilize microtransactions, there are ways to earn Coins faster in Bit City. 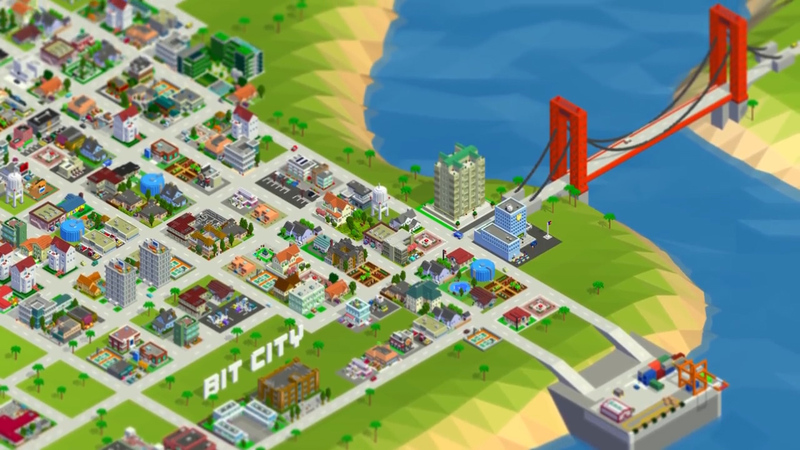 With that in mind, if you’ve recently downloaded Bit City or are contemplating it, be sure to recap your Bit City tips and tricks for beginners to help set you on the right path. Overall, the game blends strategy and city sims nicely. To top it off, many feel Bit City is ideal for mobile gamers looking to break free from the shackles of Clash of Clans (both of which are highly addicting). Bit City is free to download on both iOS and Android. If you drive past a pool hall on a Saturday night, you may be surprised to find the parking lot packed with people. It’s no secret that pool is a popular game to play with your friends, even if you’re absolutely terrible at it like we are! If you’re looking to spend a comfy Saturday curled up in your pajamas, but are still itching to get some pool shots in, look no further than 8 Ball Pool. 8 Ball Pool pits you against a random opponent in a battle to sink all of your balls in before the other player. You know, like a regular game of pool. 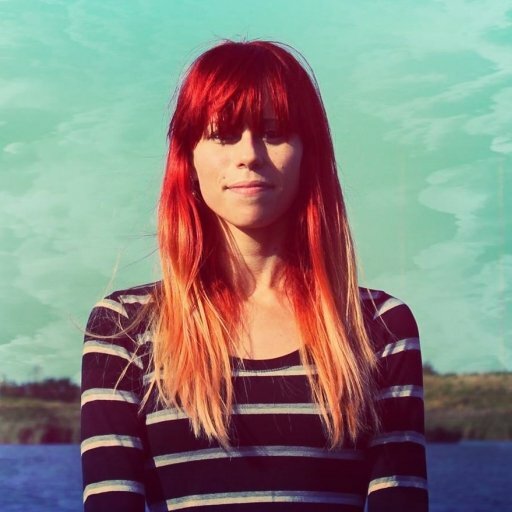 There’s a bit more strategy involved when it comes to this hit mobile indie. To help jump over the learning curve, we recently ran through five of the best break shots in 8 Ball Pool which are perfect for crushing your opponent! 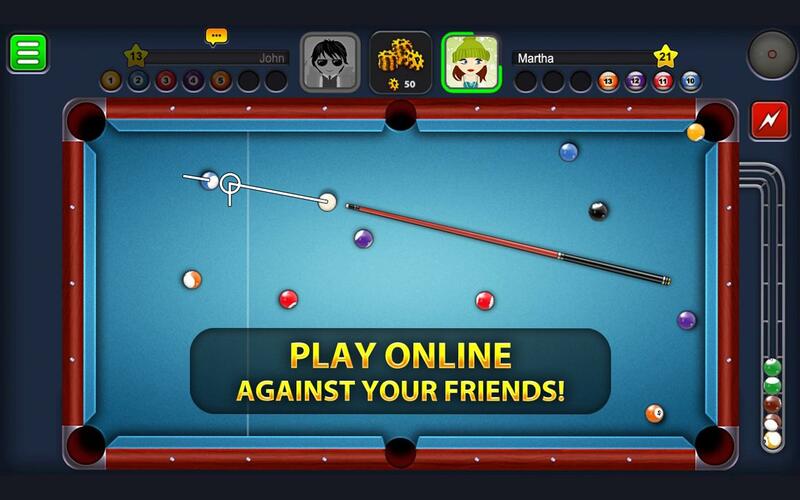 8 Ball Pool is free to download on both iOS and Android. We’ll be honest, Rick and Morty but Justin Roiland and Dan Harmon is one of our favorite shows. In addition to the recent VR entry, Rick and Morty: Virtual Rickality, there’s an awesome mobile game that calls upon the show’s usage of multiple versions of both Rick and Morty. In the game, you play as Rick, who’s on a mission to capture a wide variety of Mortys. In a nutshell, it’s like Pokemon, but with a nice touch of humor. Rather than fighting an Elite Four, however, your Rick will have to go head-to-head against a council of six Ricks using your best trained-up Mortys. While waiting for the next season of the show, why not play a little Pocket Mortys to tide you over? Unless you have VR, of course, in which case check out Virtual Rickality from the guys at Squanchtendo as well! 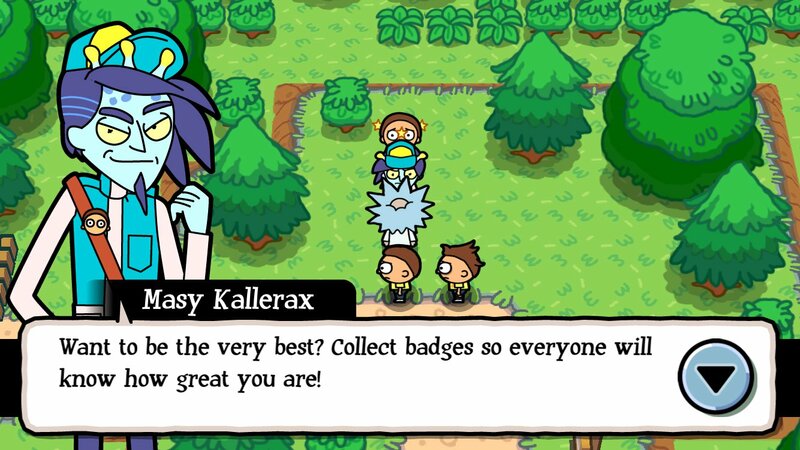 Pocket Mortys is free to download on both iOS and Android. We’ve all experienced those boring days at work or school where any form of entertainment is welcome. Often, we challenge our friends to one silly competition after another. 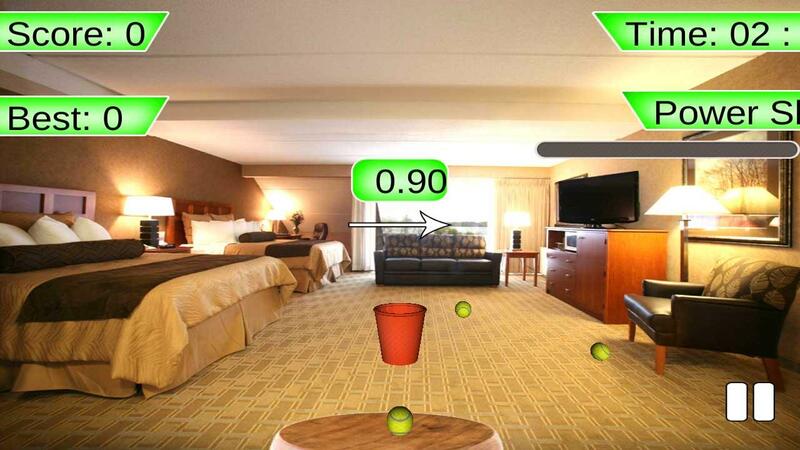 If you’re like us and like a good game of trash basketball, Paper Toss is a must-have download. 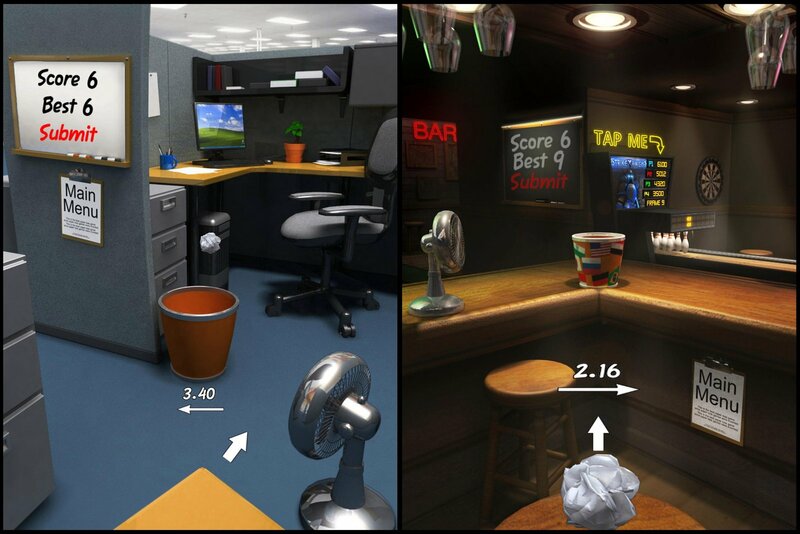 The premise of Paper Toss is simple, get a crumpled ball of paper into the trash bin. As you play, you can improve your throwing distance, and your overall style. Paper Toss is an idea that’s perfectly clever in its simplicity. Plus, it’s great for the environment, as you won’t be wasting wad after wad of paper trying to outdo your buddy’s impeccable aim. The only limit is to Paper Toss is your phone’s battery! Paper Toss is free to download on both iOS and Android. What do you think of our list? Is anything missing? Let us know in the comments what mobile games you've been playing lately! In the end, we hope you were able to find at least one new game to download in our list of the top six free mobile games on iOS and Android.